Tickets to see Shalamar live in concert at the Aldwych Theatre are on sale now! Make your night with Shalamar a night to remember and body-pop to their greatest funk and disco hits! Having sold over 25 million records worldwide, Shalamar are one of the most successful soul groups in history! And now they bring all of their greatest hits straight to London's West End in this one-off event as part of their 2019 tour! Shalamar was formed way back in 1976 and their first single 'Uptown Festival' was an instant hit when it hit the airwaves. Following their immediate success, the group were unstoppable, releasing hit after hit that included 'Take That To The Bank', 'The Second Time Around' and 'Right In The Socket'. When Shalamar released their 1982 album, Friends, the whole world spun into a funky frenzy and they went on to sell a whopping one million copies in the UK! Shalamar's Jeffrey Daniel performed the Moonwalk live on Top of the Pops, which took British Television by storm. 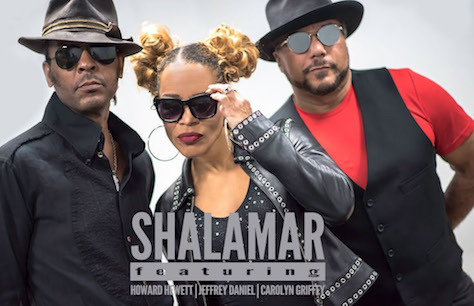 Shalamar 'can make you feel good' with their Greatest Hits 2019 tour! Book your Shalamar tickets early and boogie down with Shalamar at the Aldwych Theatre this May!